We are incredibly proud to share your stories of crazy massive gains! The results speak for themselves. Have some results to show for? Take one pill from each bottle as a serving. You can take up to three servings per day, take each serving with a snack or meal and drink 8-10 large glasses of water a day. Take each serving with a minimum of five hours between servings. Try to take one of the servings 30-40 minutes before you work out, and have a protein shake one hour post-workout; the shake helps to ignite the ingredients in our products. 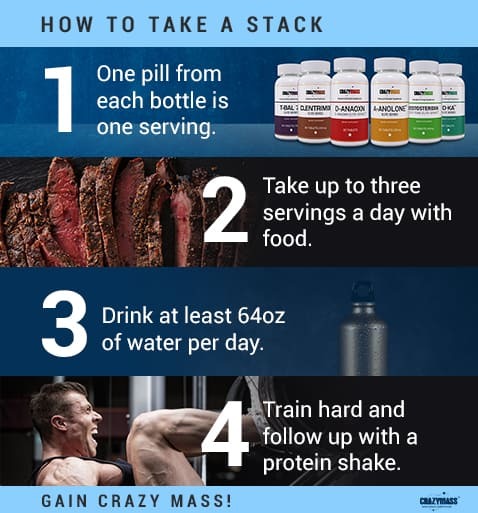 If you are taking three servings per day, your stack should last about four weeks. 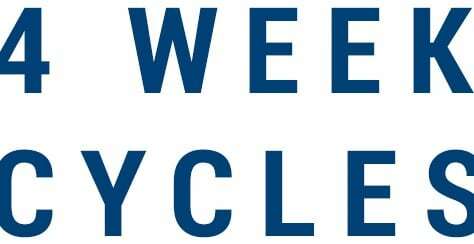 You can take the product(s) for up to eight weeks before needing 10 days off.